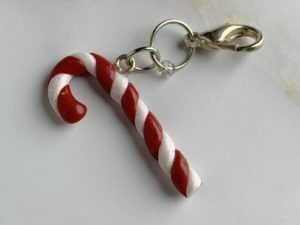 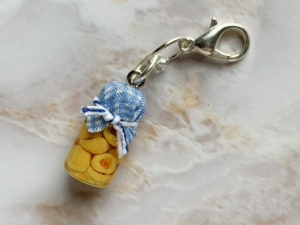 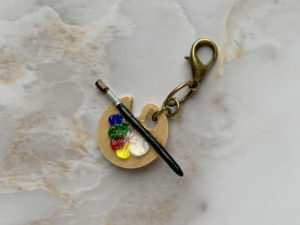 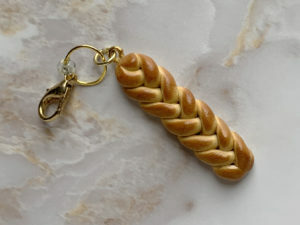 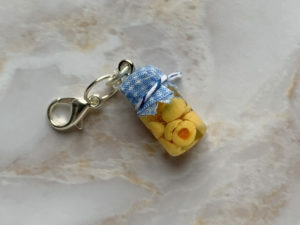 Handmade realistic miniature bread polymer clay charm for knitting or crocheting as a progress keeper and stitch marker. 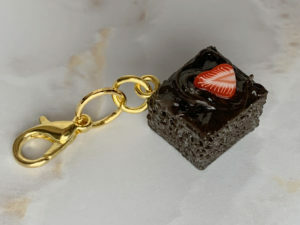 Accessorized with two jump rings and lobster clasp in gold tone only. 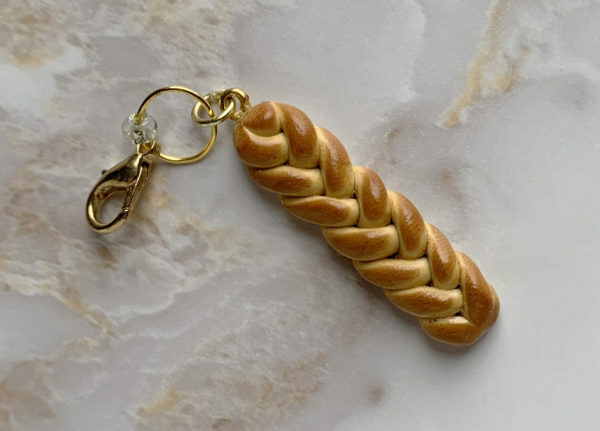 This braided loaf progress keeper will look great on your knitting / crocheted projects, hanging from your project bag, zipper pull or anywhere you like. 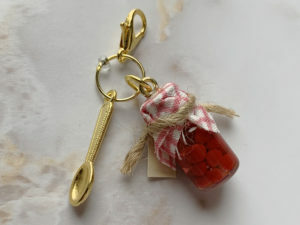 Makes a great gift or a special treat for yourself! 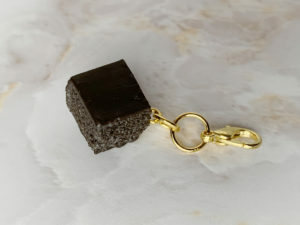 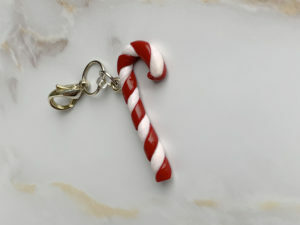 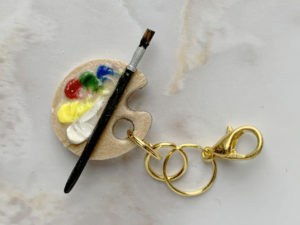 Hand sculpted from polymer clay and individually hand painted, every charm is unique and sealed with a non-toxic Varathane Diamond Finish for durability and accessorized with gold tone rings and lobster clasp. 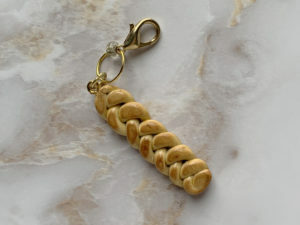 As these are individually hand-braided, approximate dimensions are approximately 1.5″ long x 0.5″ wide (3.8 cm x 1.3 cm). 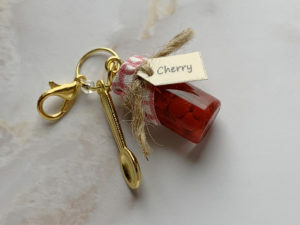 All of my items are shipped in fibre filled small boxes. 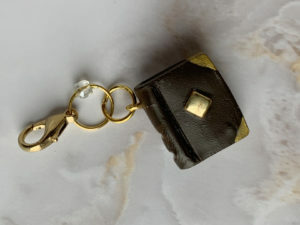 If you order more than one item, they will be sent together in the same box if they fit comfortably. 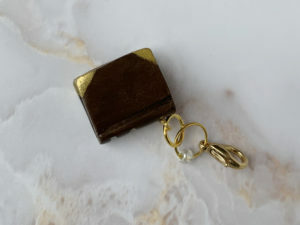 Inside the box, each charm is wrapped individually in bubble wrap for extra protection. 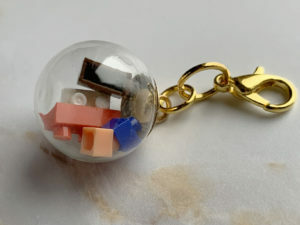 Please note that these items are not toys and not suitable for children as they are a choking hazard. 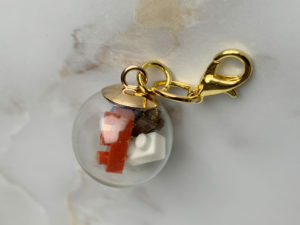 Even though my charms have been coated using Varathane for durability, please avoid water contact and undue stress; the jewelry findings are attached using E6000 glue and have been tested for normal usage while knitting.